Years ago, on a sunny morning I was listening to the lecturer talk about protons, neutrons and electrons in college. The seat next to me was occupied by another friend and there was no sign of my best friend Pankaja. After the class I saw Pankaja hurriedly walking towards me with a round steel container in her hand. My precious friend had missed a class to prepare one of my favourite sweets just for me! The taste of the halva made by her still lingers as fresh as the memory of her walking towards me with the container in her hand. I have such fond memories of eating delicious food with Pankaja. Visions of laughter, fun, teenage frivolty and nervousness and happy memories cloud my mind. It is memories like this which ride on food that make the effort of cooking and eating something worthwhile. They not only warm the heart but also soothe the soul, our very being. The internet and cook books abound with recipes for this famous Indian confection. Many of them are made using the pressure cooker, a definite time saver. But for recipes like this I like to take the extra effort and toil a little more than usual since the results can be spectacular. Every morsel is reminiscent of the wonderful labour of love, the extra effort and the toil. Also the sugar has to be just right for sweets such as this. Not more! Not less! 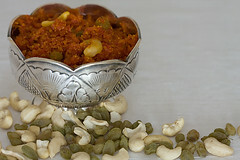 Although Gajar halva is ubiquitous in indian weddings and banquets, I steer clear of eating this during such occasions because of the extra grease. The logic as to why most cooks like to do this to this pure delicacy seems to elude me. 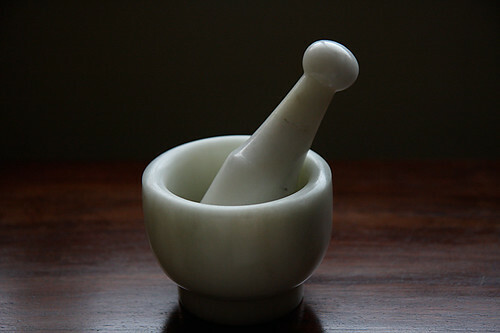 I have to share with you about my new found companion in the kitchen, my mortar and pestle. It always lay in one corner without getting much attention from me. The electric coffee mill came to my rescue for grinding spices in small quantities. Not anymore! 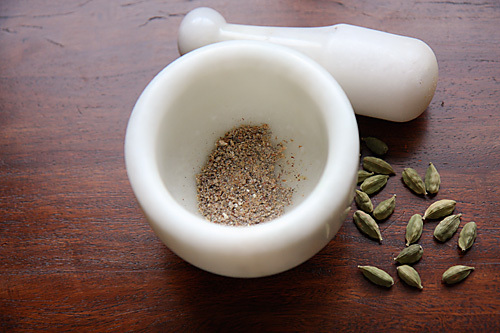 My mortar and pestle can pulverize the seeds of even one single cardamom to smithereens. And I get the aroma and taste that comes of only freshly ground spices. A delight to the senses. This recipe also has one of my favourite ingredients, the queen of spices, saffron. The heady aroma, the rich colour and the essence of this most wonderful spice is simply unmatchable. Maybe I was a victim of marketing gimmicks when I continuously stocked my supplies with Spanish saffron, considering it to be the best relegating our homegrown Kashmiri saffron to the second spot until one of my conversations with Meeta on twitter made me think otherwise. She assured me that once I test Kashmiri saffron I won’t go back to using anything else. Now I’m not only a convert but am addicted to my pure Kashmiri saffron. Baby Hari loves it too. In his Phirnee and also in this gajar halva. I was so delighted when this choosy little eater relished a spoonful of one of my favourite desserts. I have used cashewnuts and golden raisins here. You could use other nuts like almonds or pistachios too. I personally like to have carrot halva warm or at room temperature. But it tastes good even cold. A scoop of vanilla ice cream served with hot carrot halva, is a popular combination. Use any mild flavourless oil like ricebran, canola or sunflower instead of butter and almond milk instead of dairy milk for a vegan version. Powder the cardamom seeds and saffron in a mortar and pestle. Heat 2 tbsp ghee in a wok and add all the grated carrots. Saute for 2 to 3 minutes. Pour in the milk and cook on a medium flame stirring in between to prevent the carrots from sticking to the bottom of the pan. Continue cooking until the carrots absorb all the liquid, about 20 to 25 minutes. Stir in the sugar, reduce the heat to medium low and continue to cook, stirring in between. In a small wok, heat the 1 tbsp ghee, stir in the raisins, after they puff up transfer them into the wok where the carrots are cooking. In the remaining ghee fry the cashews until golden brown and transfer to the wok containing carrots. Continue cooking until all the liquid is absorbed, about 20 to 25 minutes. Stir in the powdered cardamom and saffron and serve hot, cold or at room temperature. What a lovely way to present carrot halwa, looks very festive! I really look forward to this season every year just for those red carrots! anu..memories hav gone hazy..need a crash course! but thanks for mentioning my halwa..i am so flattered.i am so greatful that we are best of friends..love you! It definitely looks like the extra effort paid off. It looks incredibly tempting! 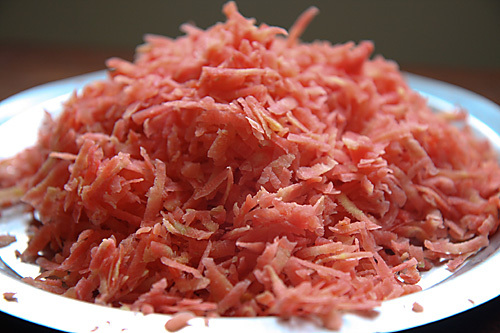 Hello Anu, Can you please share the recipe of Majjige Huli. I love this dish that is cooked with assorted veggies, but am not sure of how to make it the way it should be..and am sure you would be help me with the best of it.Thanks in advance. Can't wait to see li'l Hari spooning a li'l mouthful 🙂 after which i'm sure he delights you with his toothy smile….. 🙂 my mom used to make her carrot halwa without the use of pressure cooker just like you… can't wait to try it myself… once or twice when i did try it before, the raw smell lingered… i'm doing something wrong, may be a little more time on the wok… also doesn't carrot stick to the bottom of the wok if you cook it for long on the wok, i always have that problem….do you have any tips for it? This looks really delightful–a new dish to me, but I love cardamom and am looking for new, interesting ways to use carrots in cooking. Thanks for this! Thanks you so much for these wonderful recipes. This is how I make carrot halava on Ekadasi. I hope you do not mind if I use these for the temple ! Can you please tell me where you buy your Kashmiri saffron? I am new in Mumbai, so I want to know authentic place to buy these spices. Anushruti, I made this halwa today on Dassera and it came out beautiful….made half of what your measurements are and am thinking why didnt i do whole 8 cups halwa 🙂 Thx for sharing, love your photography, i am into photography too…and love cooking! Vandana: Glad you liked it. 🙂 Next time double my recipe…you can freeze a little, share a little and eat a little! Begum: You are welcome. Glad you liked it. 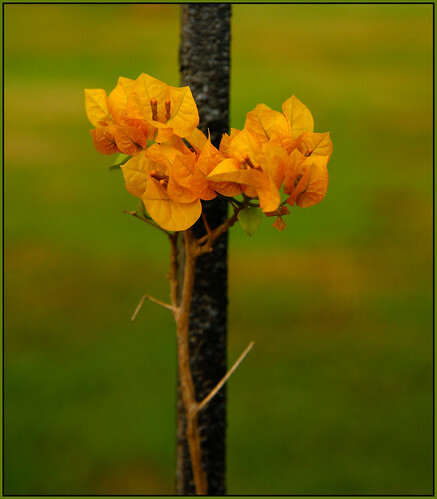 Bhavana: Yes..it is reduced. When the carrots absorb all the milk and the halva just starts to leave the sides of the pan, it is done.